Tomorrow afternoon at First Energy Stadium, veteran QB Josh McCown gets his first start of the season as the Cleveland Browns host their first home game of the season as they look to get their first divisional and overall win of the season against Joe Flacco and the Baltimore Ravens. In his last game against the Ravens, McCown went for 457 yards and three total touchdowns (two passing, one rushing) in a 33-30 overtime win. That was his best start at QB at 36 years old in his entire career. During a interview with the media the week, John Harbaugh stated that he knows what Josh can do against his defense. A big factor of McCown’s success during that game was thanks to Gary Barnidge who was already showing the league that he can be a Pro Bowl caliber tight end. Gary racked up 139 yards and a spectacular between the legs touchdown. Gary wasn’t playing at the level he showed last year dropping two passes from Robert Griffin III last week in Philadelphia and ended up not recording a catch for the whole game. 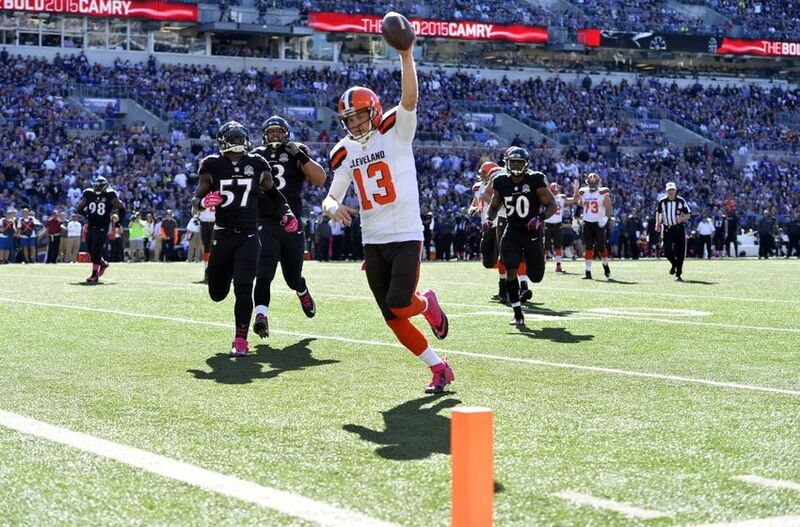 Expect a bounce back game for him this week as he was McCown’s favorite target last year. This Ravens team has been know to not let any team run over them and have one of the better linebacker cores in the NFL. Head coach Hue Jackson still has faith in his running back Isaiah Crowell. It’s never a dull moment when these two teams meet. Don’t be surprised to see a better offensive attack from the Browns this week and fully expect Joe Flacco to try and throw on this young, raw defense.